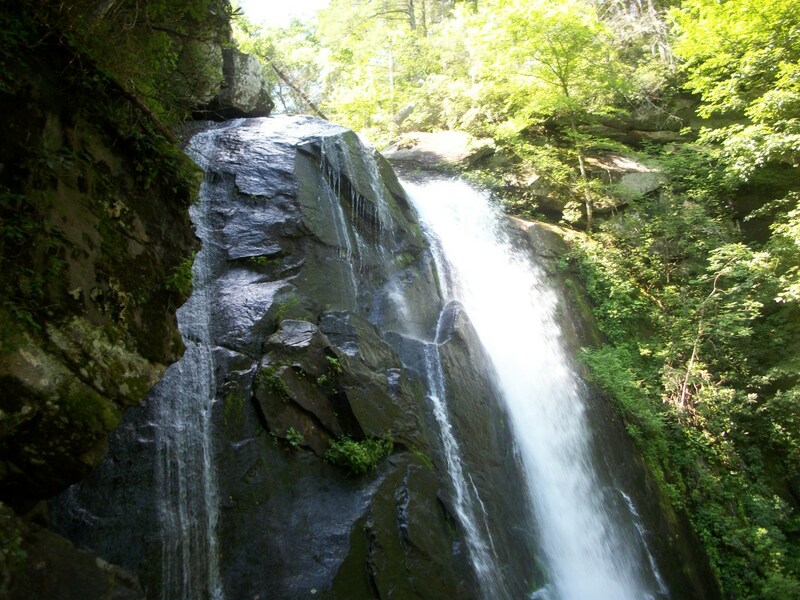 South Mountains State Park is one of the largest parks in North Carolina. 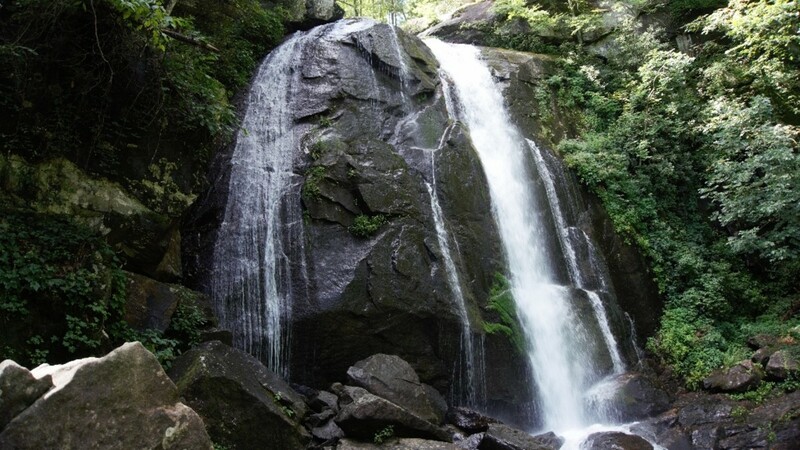 This mountain has an elevation up to 3,000 feet and is a great way to escape the city and really get back to nature. 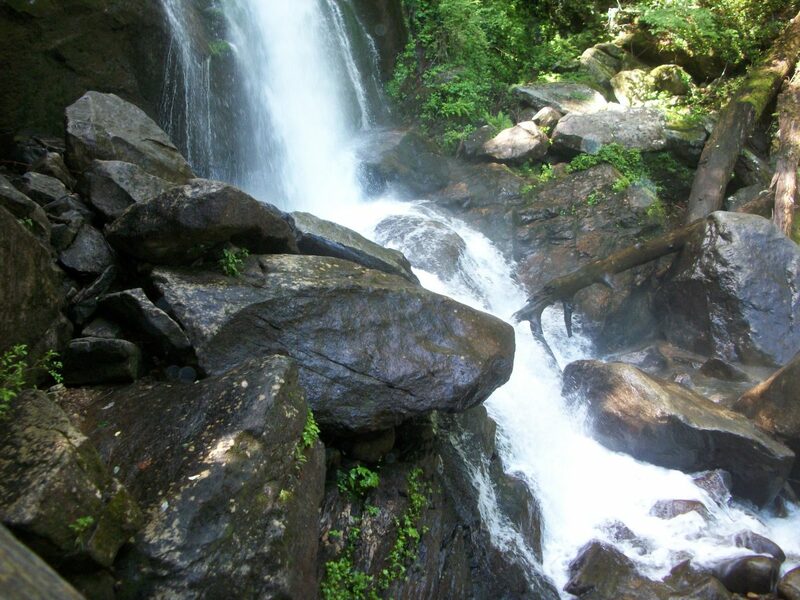 There is an 80 foot waterfall (photos and video included) and 45 miles of trails to enjoy. 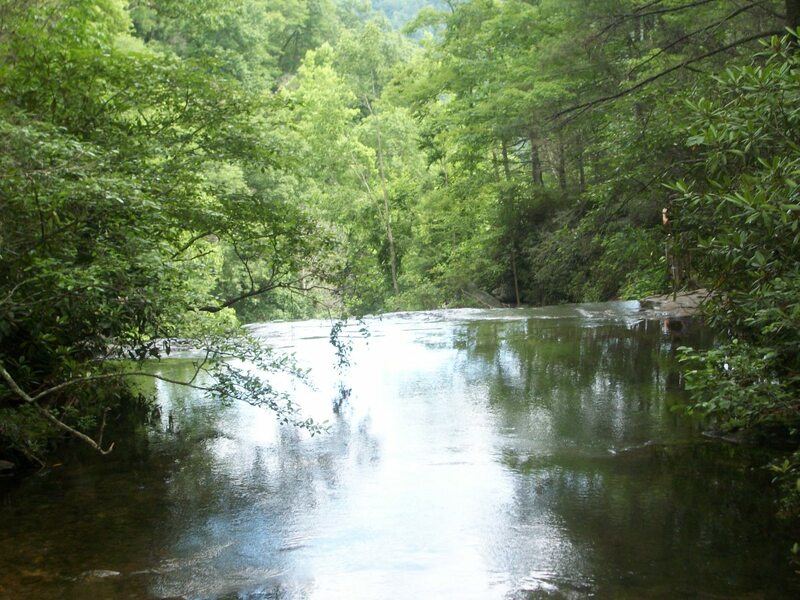 Activities available include horseback riding, camping, trout fishing, mountain biking, hiking, and picnicking. 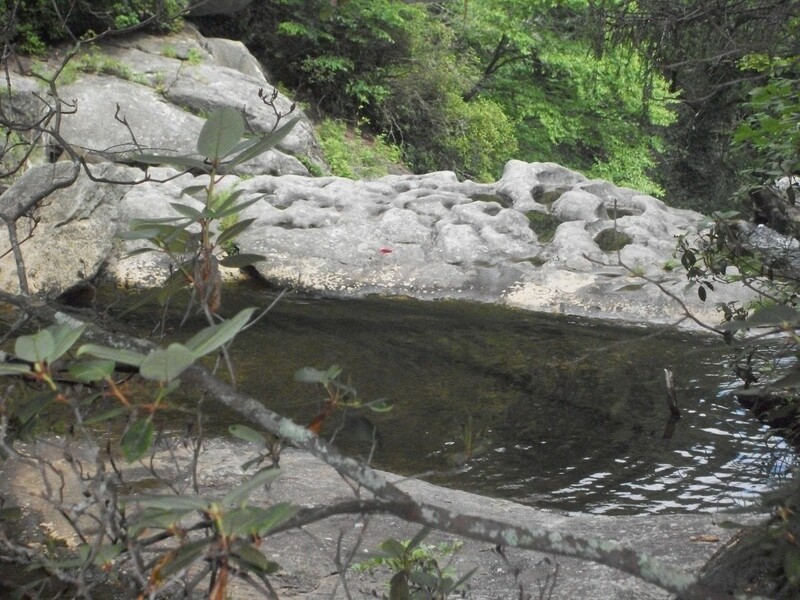 If you love to backpack into the woodlands for primitive camping, this is the place for you. 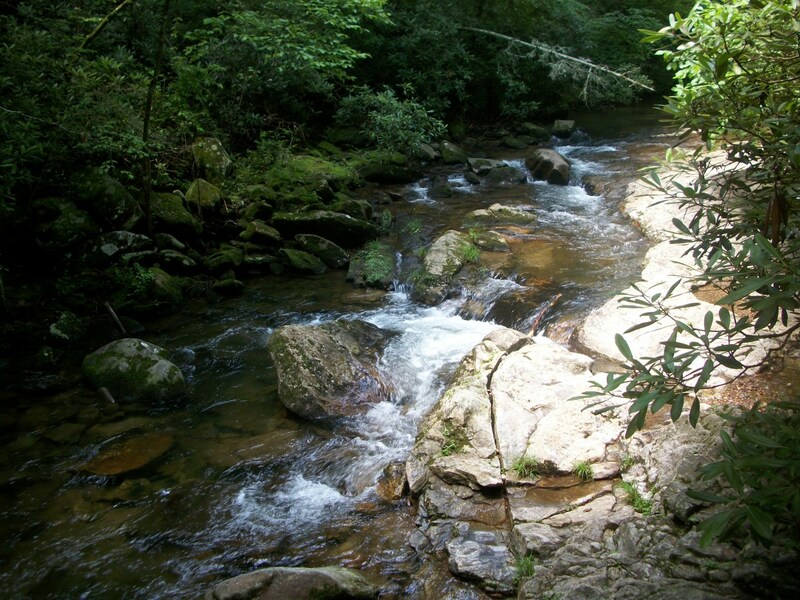 You can also fish for trout in miles of mountain steams, or bicycle along the 18-mile mountain bike loop. 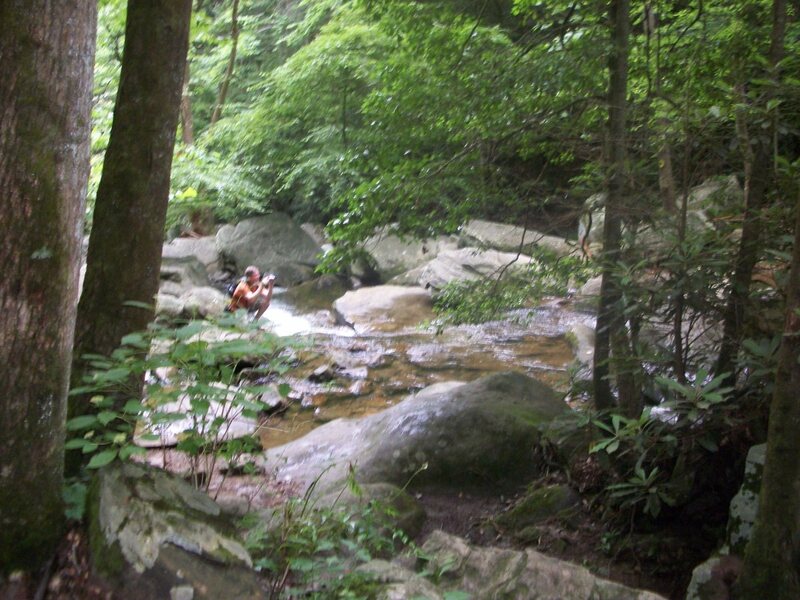 Whatever your outdoor interests are, South Mountains offers something to everyone. 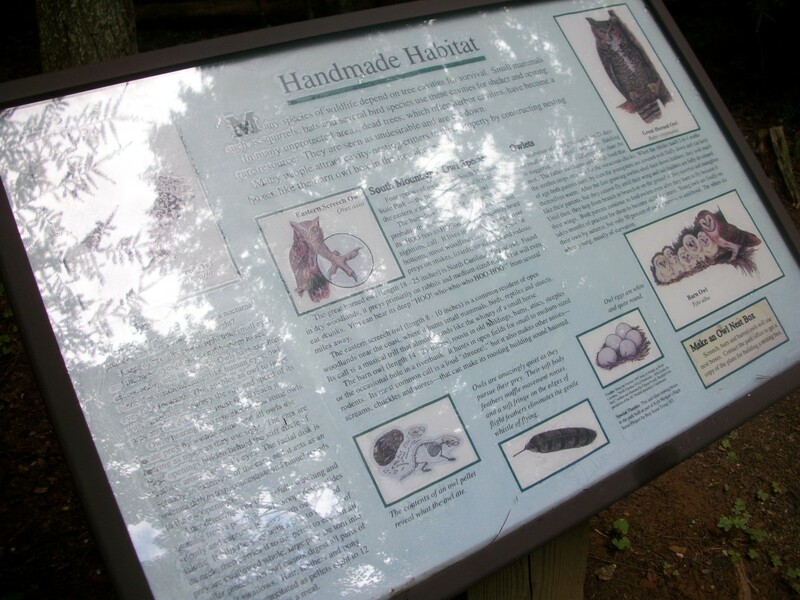 At the start of the entrance to the park is the Nature Center where you can pick up trail maps and enjoy the exhibits showing the various animals, trees, and plants that are native to the area. Some exhibits have buttons you push on to hear the sounds of birds native to the area. 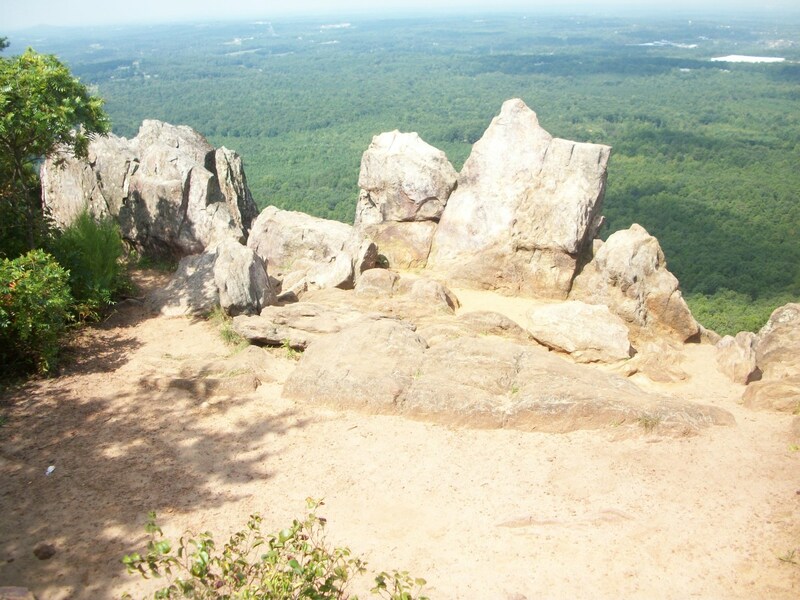 These mountains were carved out of the Blue Ridge by erosion. 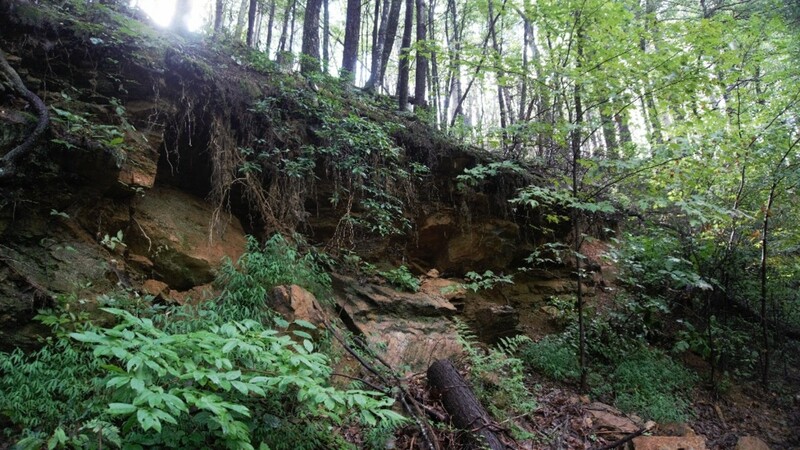 These steep and rugged terrain contains 100,000 acres across Burke, Cleveland, and Rutherford counties. 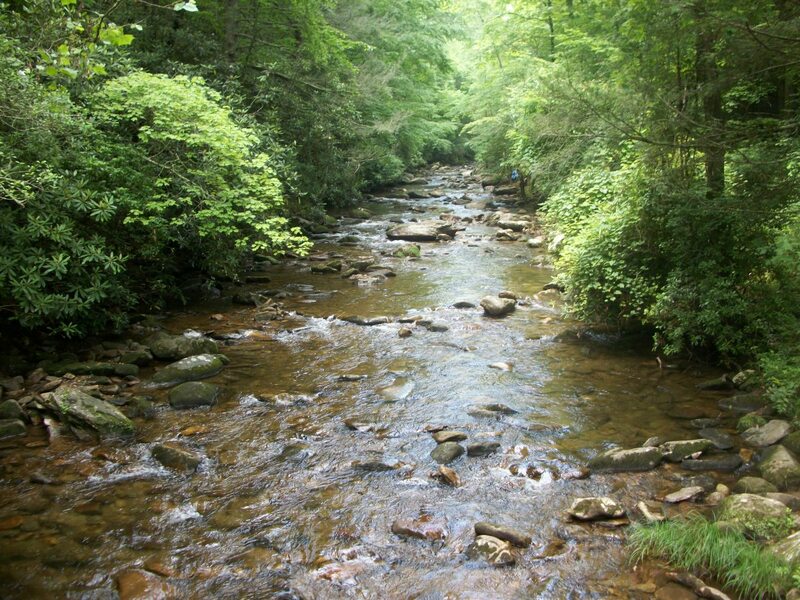 The South Mountains at one time long ago served as a buffer between the Cherokee and the Catawba Indians and the first European settlers who farmed the land along the Catawba River. 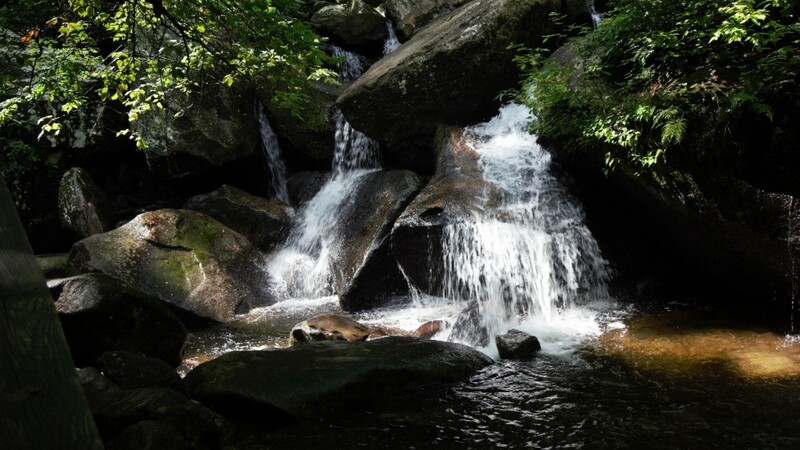 Development of land in what is now South Mountains State Park began in the 1930s when Camp Dyer, a Civilian Conservation Corps camp, was established at Enola. 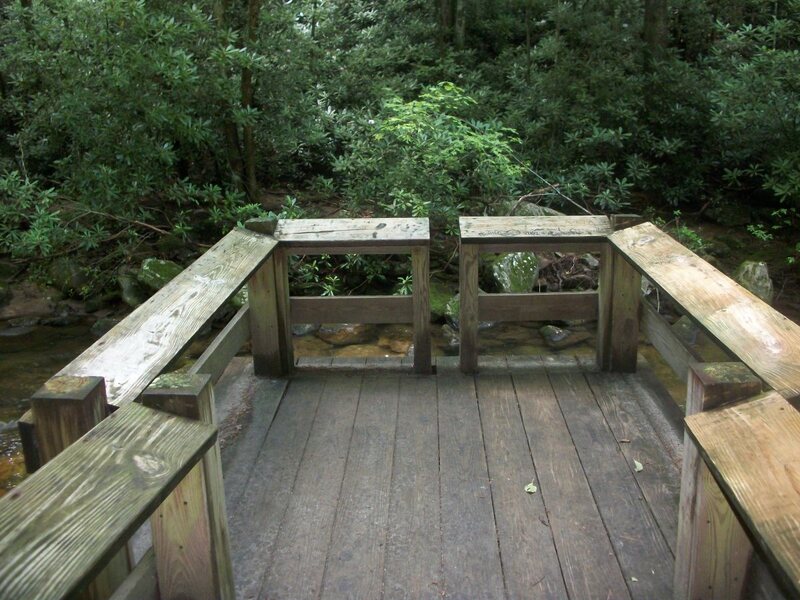 The employees of the camp constructed forest service roads, cleaned stream beds and built a fire tower. 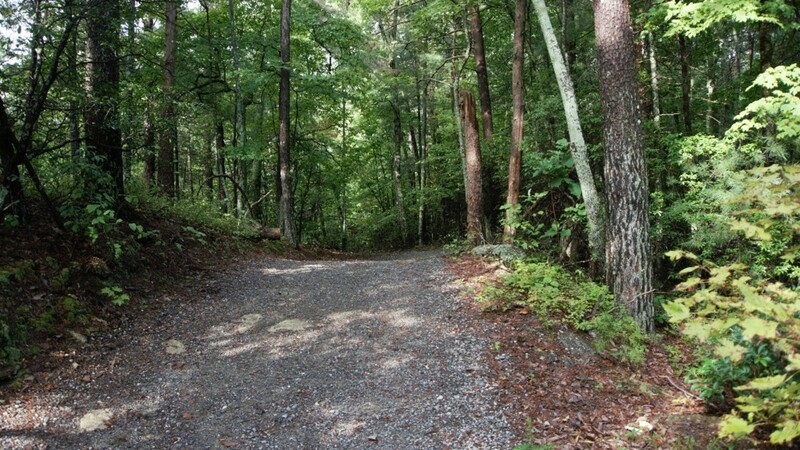 The Lower and Upper CCC roads are still in use as park trails. 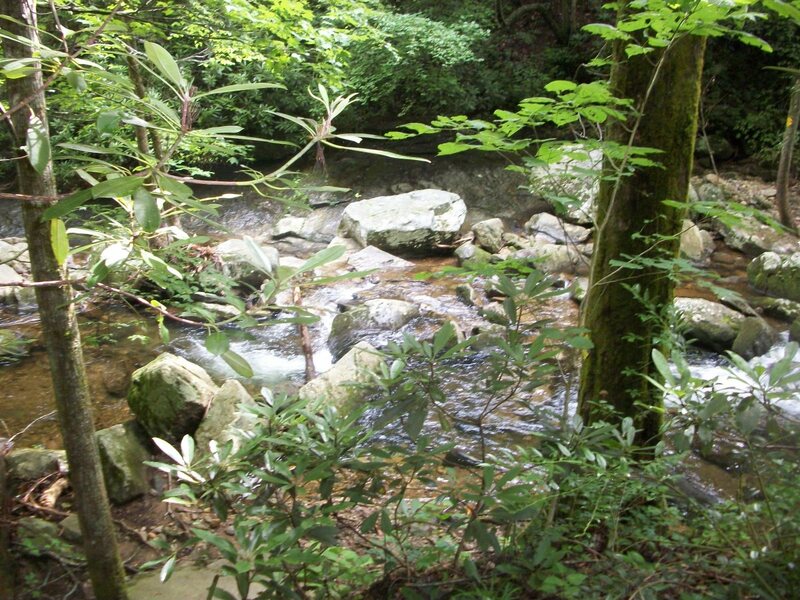 The park was established as a result of recommendations made by a National Park Service study conducted with the State of North Carolina. Proposals for the park began in the 1940s, but it was not until 1974 that funds were made available to purchase the land. 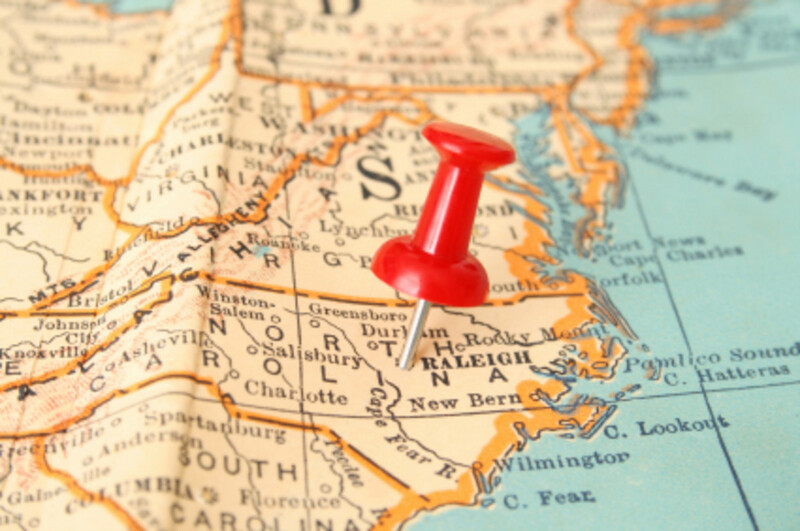 The first land acquisition made in 1975 totaled 5,779 acres. 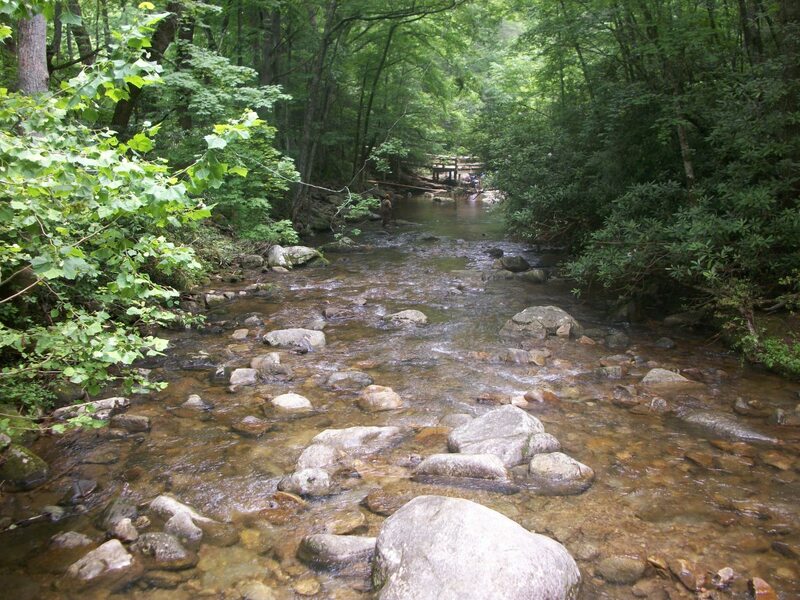 Additional land has since been added, bring the park to its present size of more than 18,000 acres. 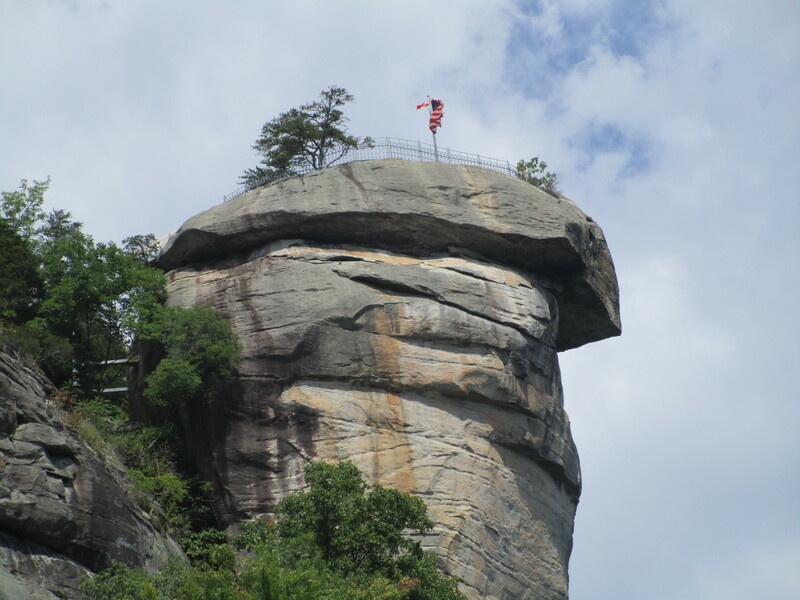 While most peaks average approximately 2,000 feet in elevation, the park contains 10 that tower over 2,500 feet above sea level. Elevations within the park range from less than 1,200 feet at points along Jacob Fork River to 3,000 feet at Buzzard’s Roost. 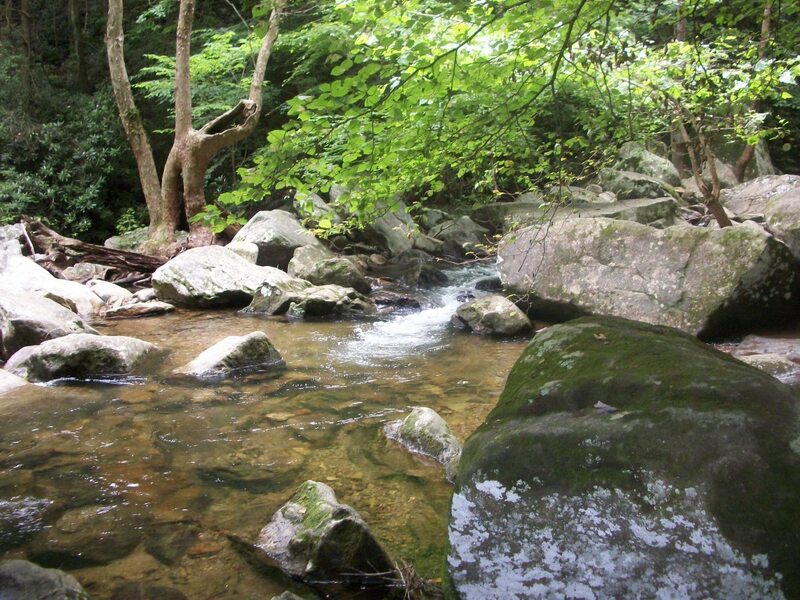 South Mountains State Park contains pure conifer, mixed conifer, hardwood, and climax hardwood forests. 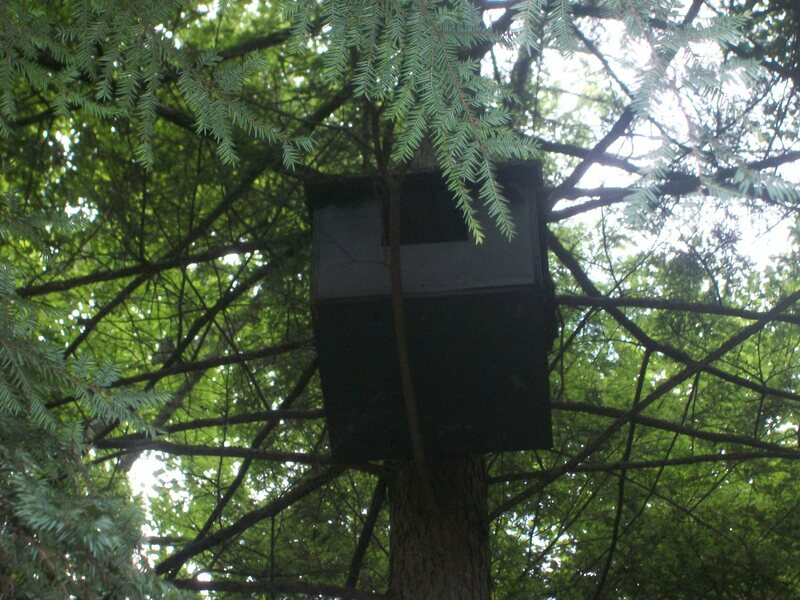 Oak, hickory, and a variety of pines are the predominant species. 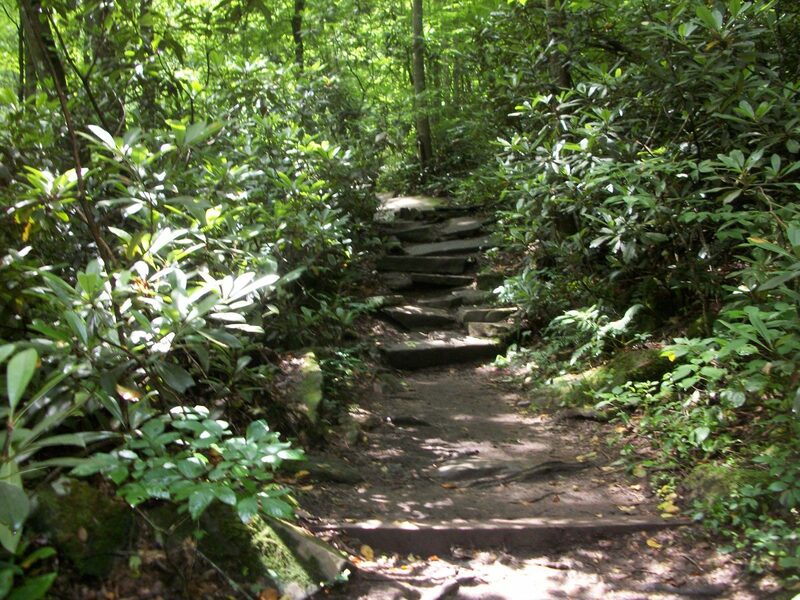 A variety of beautiful wildflowers such as Jack-in-the-pulpit, lady slipper, foam flowers, mountain laurel, and rhododendron are also present. 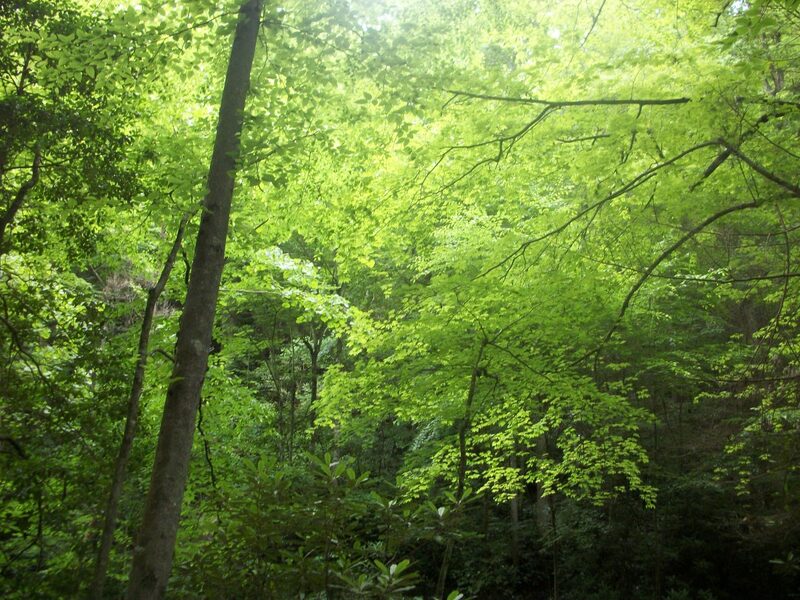 Wildlife is abundant in these forests, though many of these animals will not be seen by visitors. 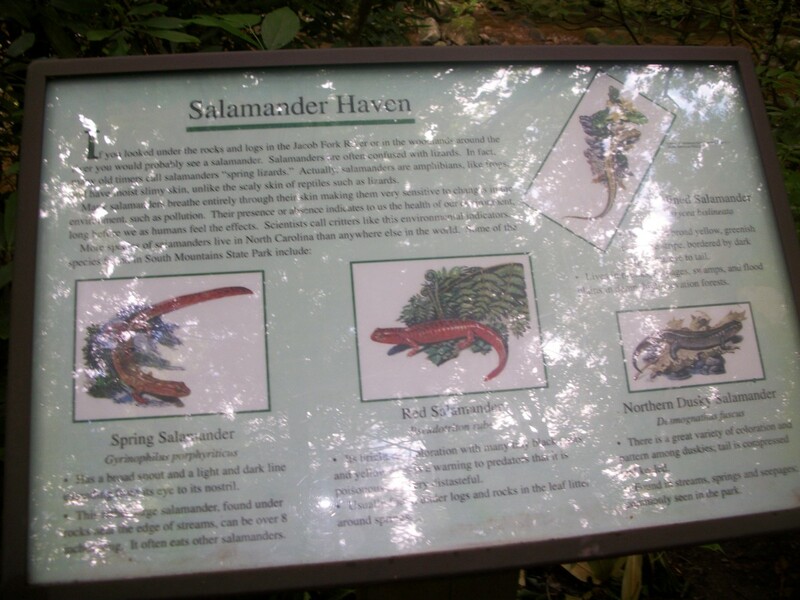 Salamanders, frogs, and toads reside in the moist areas of the park. Common reptiles include eastern fence lizards, skinks, and a vareity of small snakes. 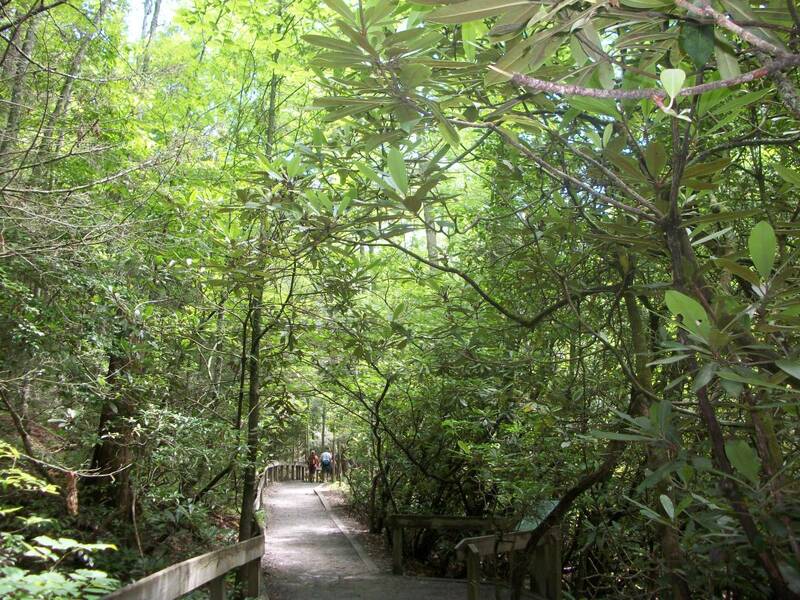 The park is home to only two venomous snakes: the copperhead and timber rattlesnake. If encountered, visitors should exercise caution! 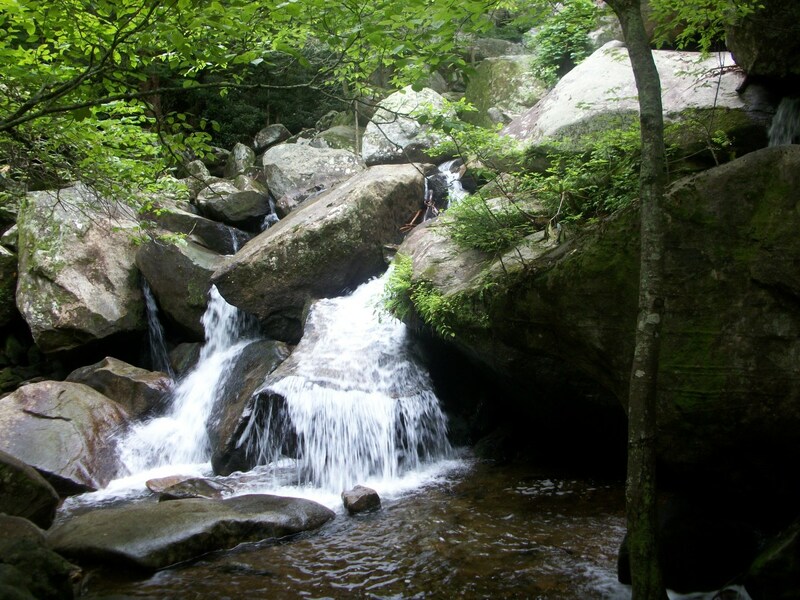 More than 60 species of birds are known to nest in South Mountains State Park. While most species found here are are typical in the western piedmont, other common species include the black-throated green warbler and rose-breasted grosbeak. Visitors may also see Acadian flycatchers, common crows, Carolina chickadees, wood thrushes, red-eyed vireos, oven birds, hooded warblers, indigo buntings, and Eastern towhees. 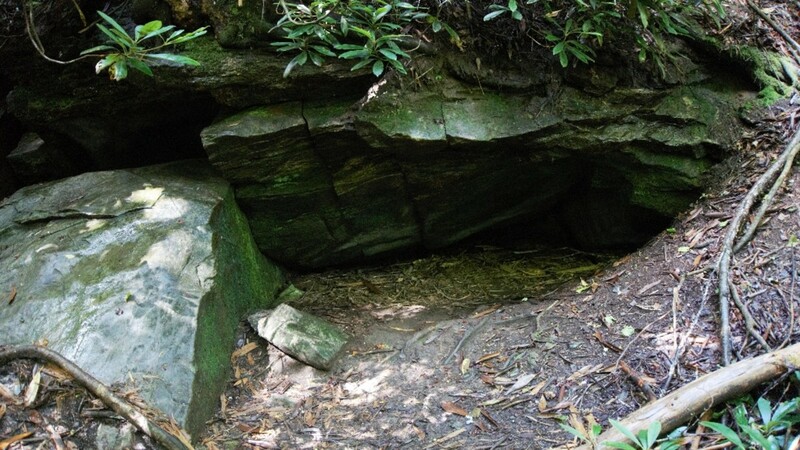 Common ravens have also nested on rock ledges near High Shoals Falls. 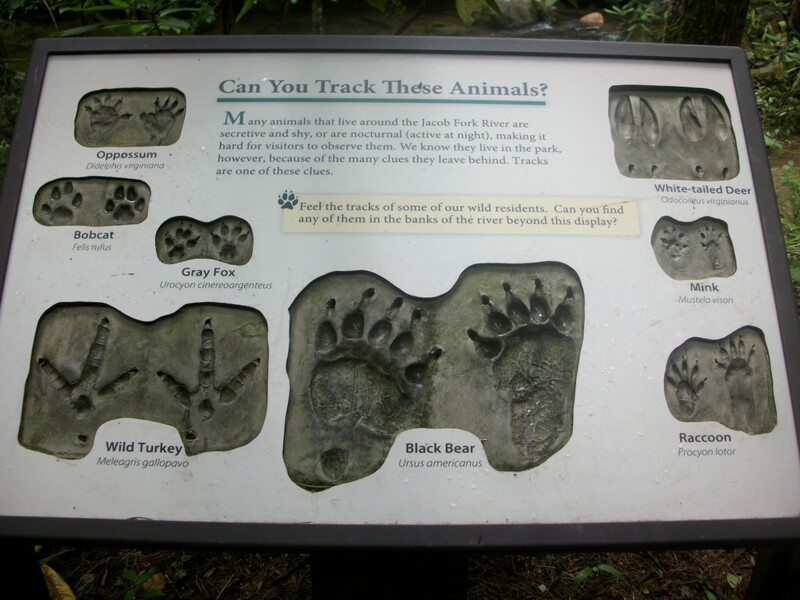 White-tailed deer, black bears and many smaller mammals such as woodchucks, chipmunks, gray squirrels, racoons and opossums also live at the park. Shrews and eastern moles live here but are seldom seen by park visitors. 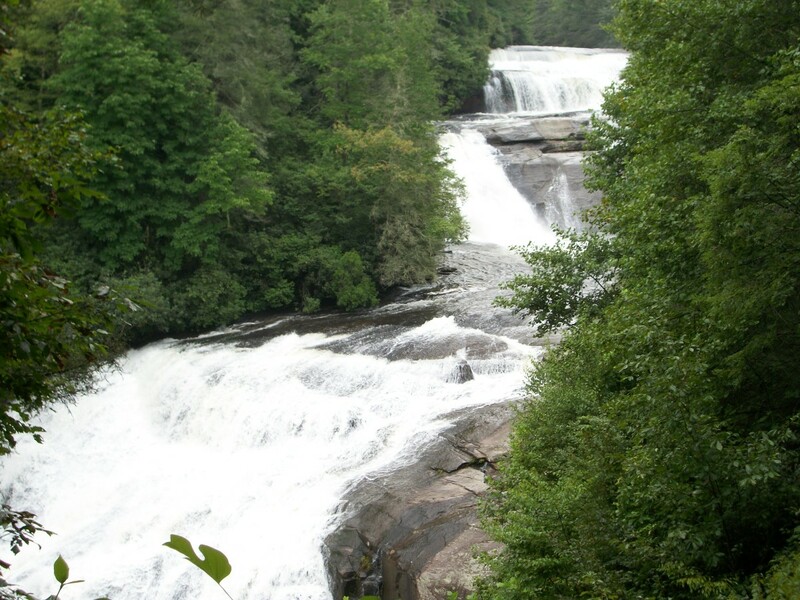 The most popular hiking trail, High Shoals Falls Loop Trail, travels one mile along the Jacob Fork River to the base of High Shoals Falls (see video). 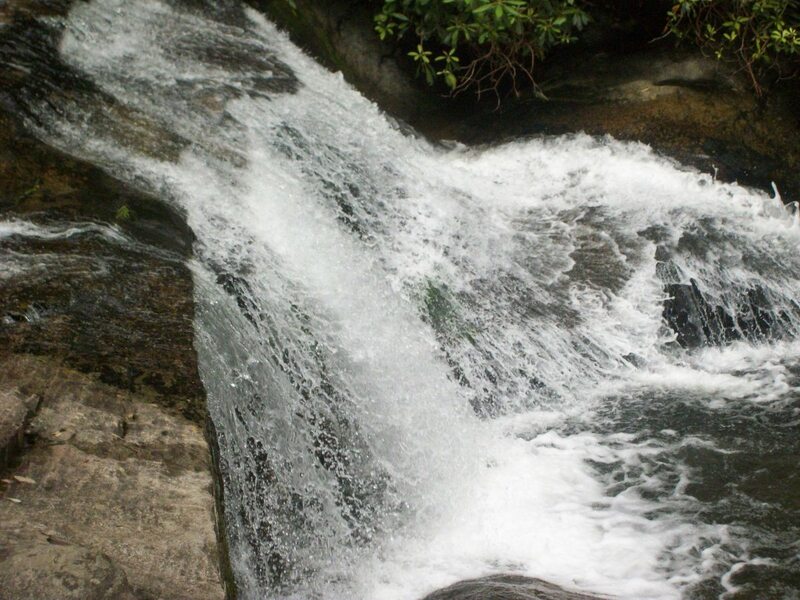 High Schoals Falls is a beautiful, crystal-clear, 80-foot plunging waterfall. 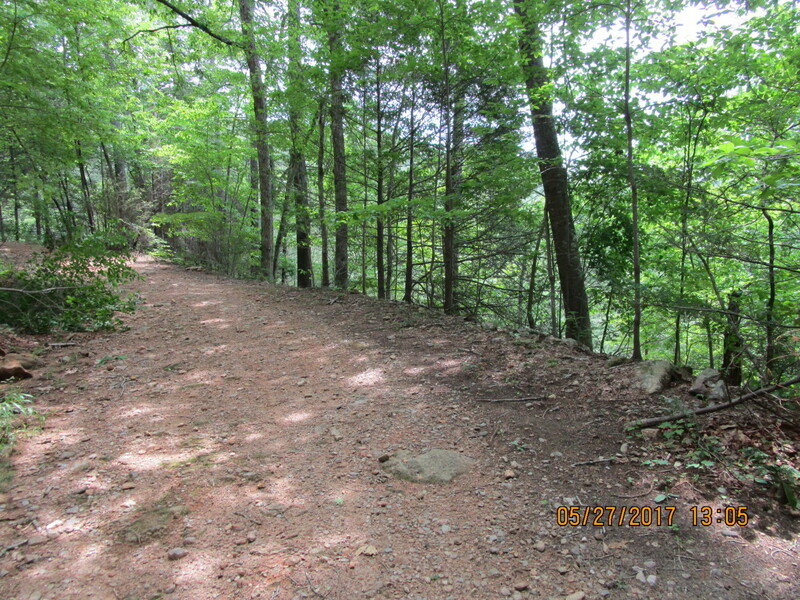 This trail then continues to the top of the waterfall before looping and returning to the parking area. 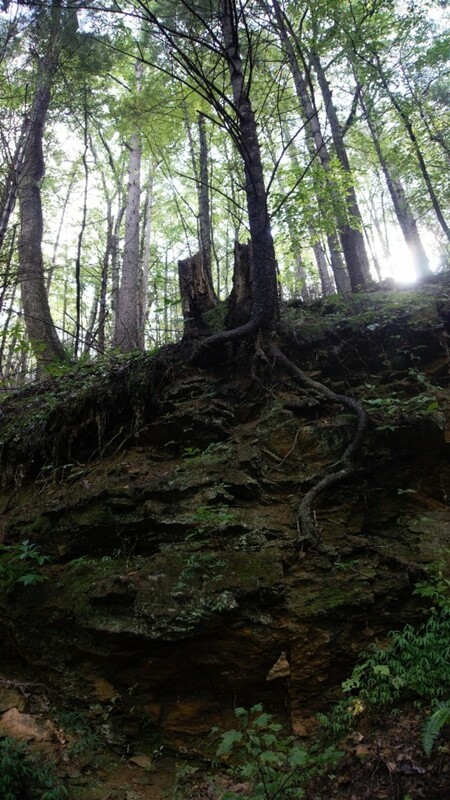 The terrain can be rugged, as shown in the photos I have taken, so be observant of the trail and wear appropriate footwear – yes you will need hiking boots for this trail. 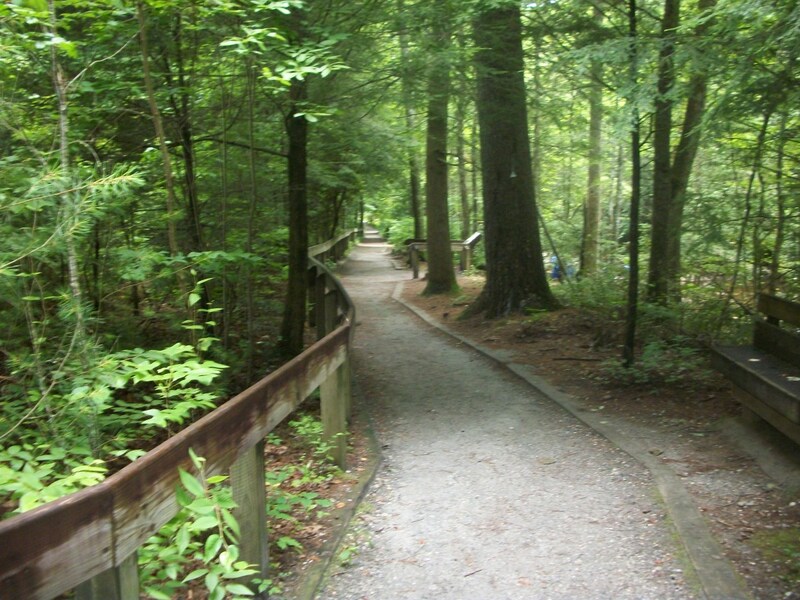 An easier trail is the Hemlock Nature Trail. 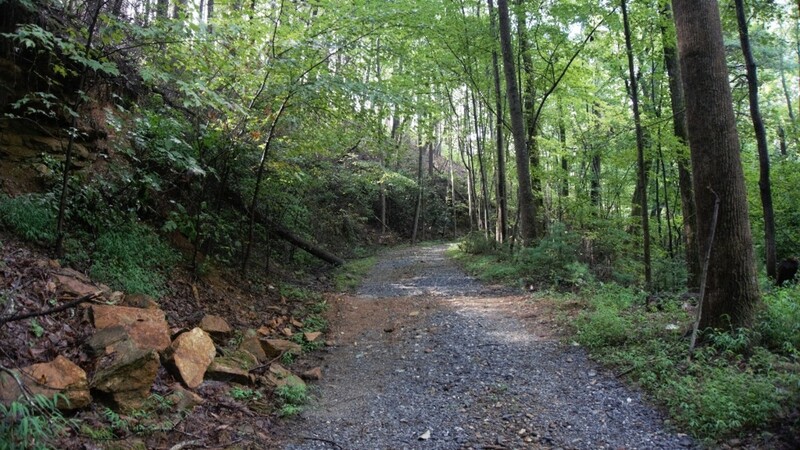 This trail also originates at the Jacob Fork parking area. 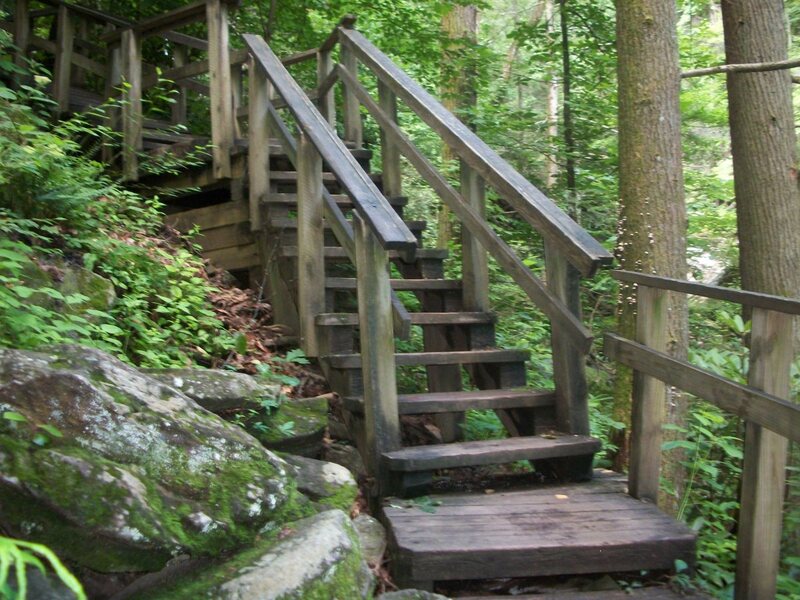 This is a short, wheelchair-accessible trail which travels along the Jacob Fork River. 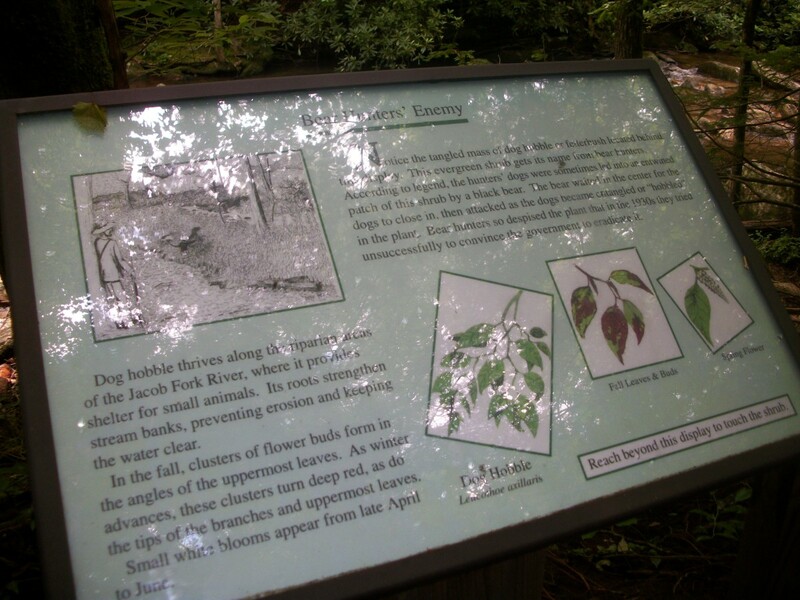 Eleven display areas along this trail explain the environment of South Mountains and describes the plants and animals that live here. 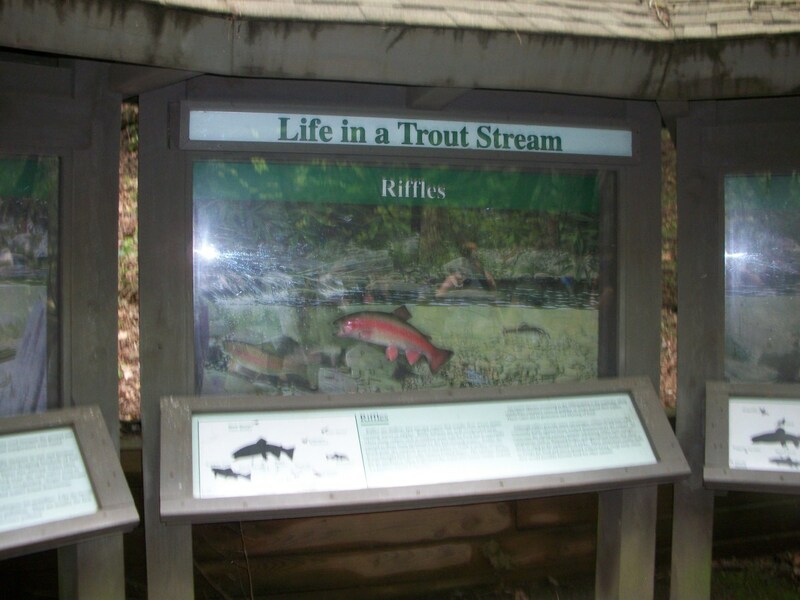 Also, two kiosk areas provide information about watersheds and trout-stream ecology. 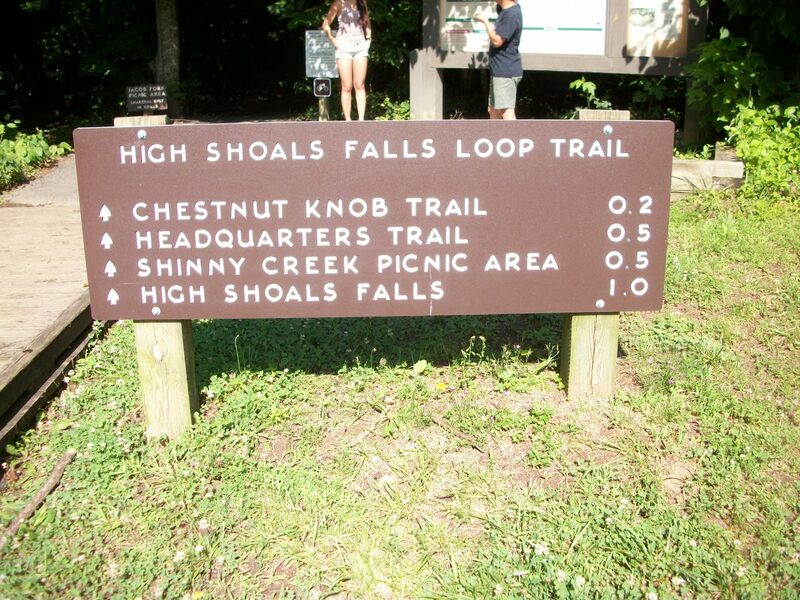 Another very popular but very strenuous trail is the 2-mile Chestnut Knob Trail, which leads to the Jacob Fork River Gorge and the Chestnut Knob Overlook. 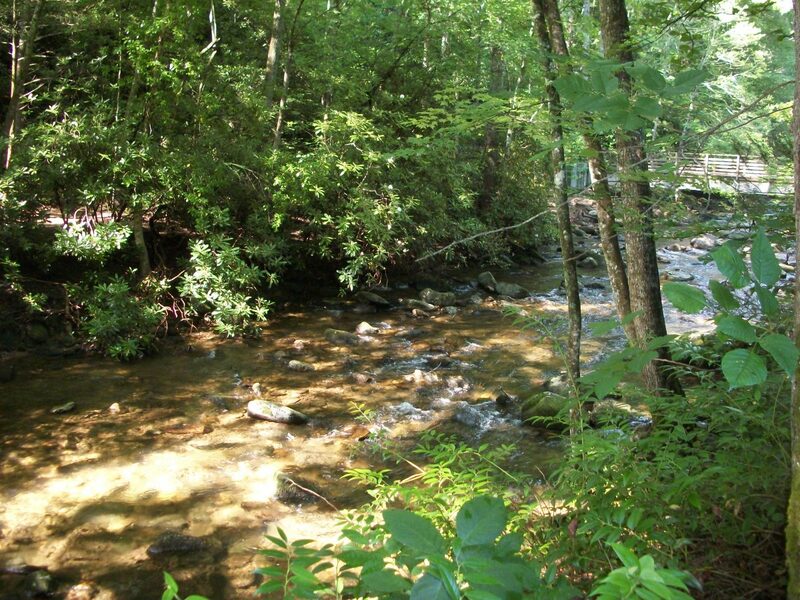 There are 20 camping sites available on a first-come first serve basis. Each camping area has a pit toilet located nearby. 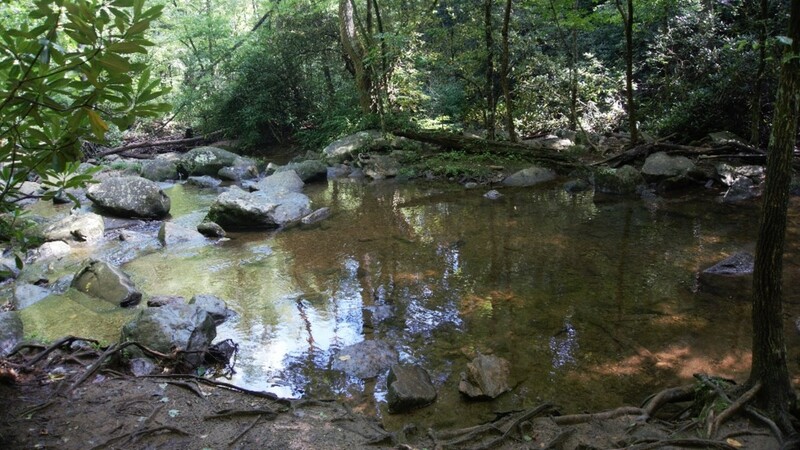 All water taken from nearby creeks and streams should be treated prior to use. The table below outlines the backpack campsites and the distance between the campsite and the Jacob Fork parking area. Upon arrival at the Park, all backpackers should stop in at the visitor center to register or check-in if advanced reservations were made. 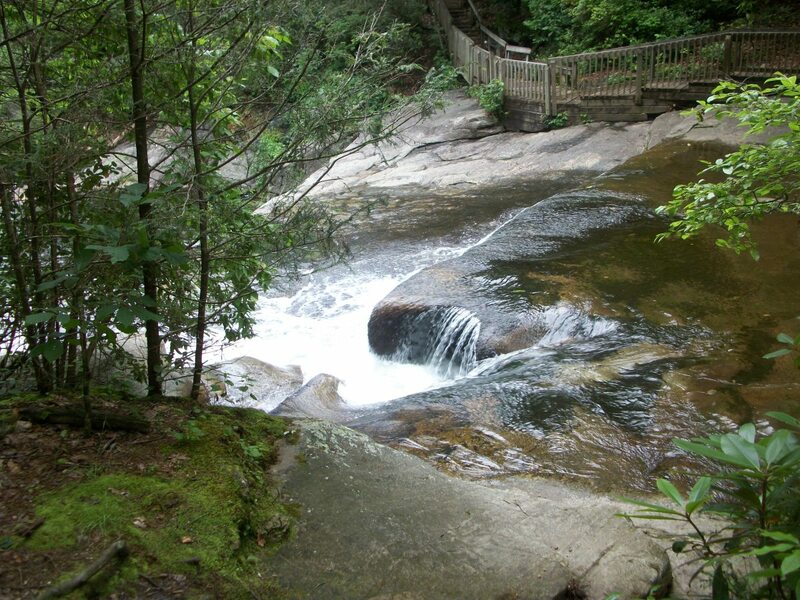 To make reservations for campsites call 1-877-722-6762. The park is opened every day of the year except Christmas Day. 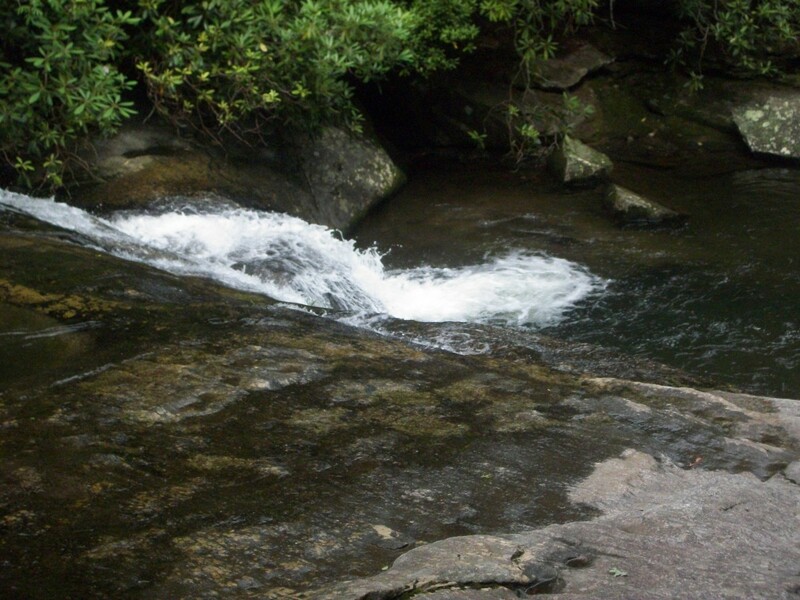 The Family Campground includes a wheelchair-accessible bath house and is situated next to the Jacobs Fork River and has plenty of parking. The bath house has flush toilets and one shower. 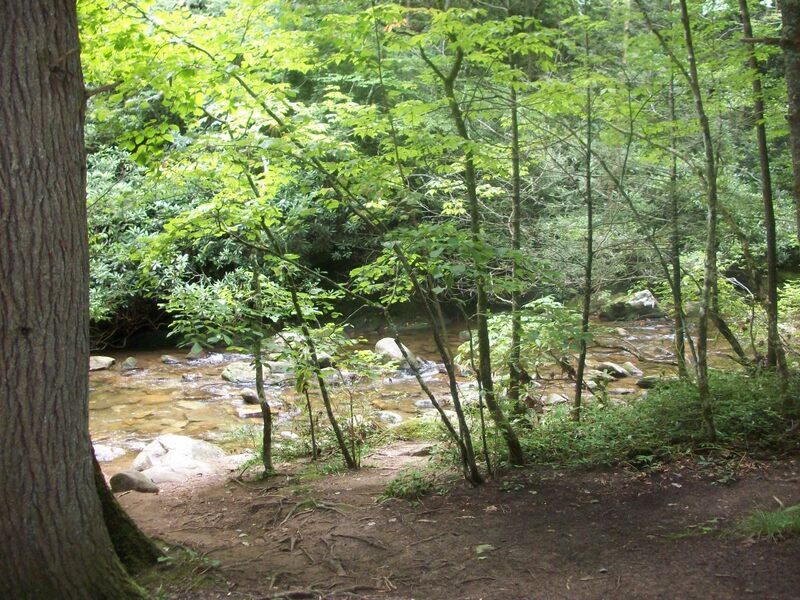 This campground is also located right next to the trailhead which gives you access to most of the trails leading to the Jacobs Fork parking area. Most of the tent areas are large and roomy and can fit the bigger 6-person tents plus an RV. 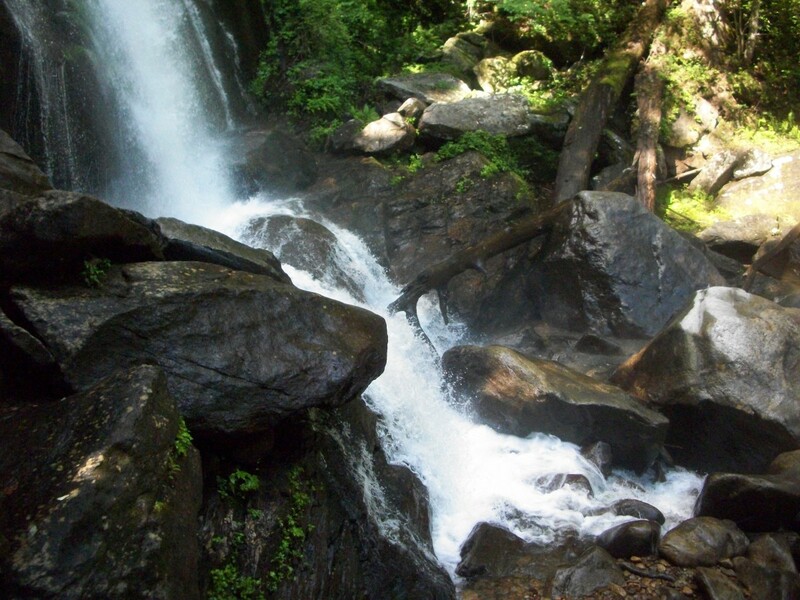 Group Camping is available at all backpacking campsites except Upper Falls. The Equestrian Campground is adjacent to the equestrian parking area and includes 15 primitive campsites, a 33-stall barn and a bathhouse. Proof of negative equine infectious anemia (Coggins) test is required for horses. 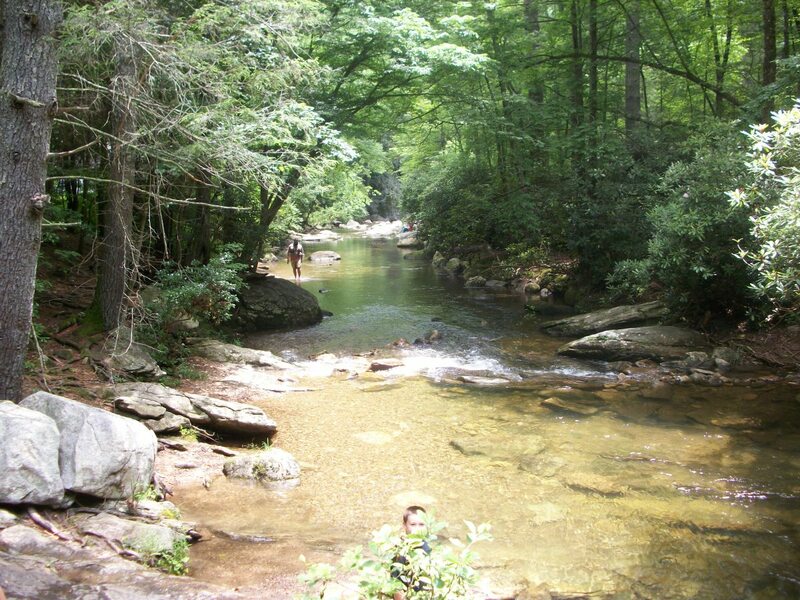 There are many recreational fishing opportunities at South Mountains State Park. 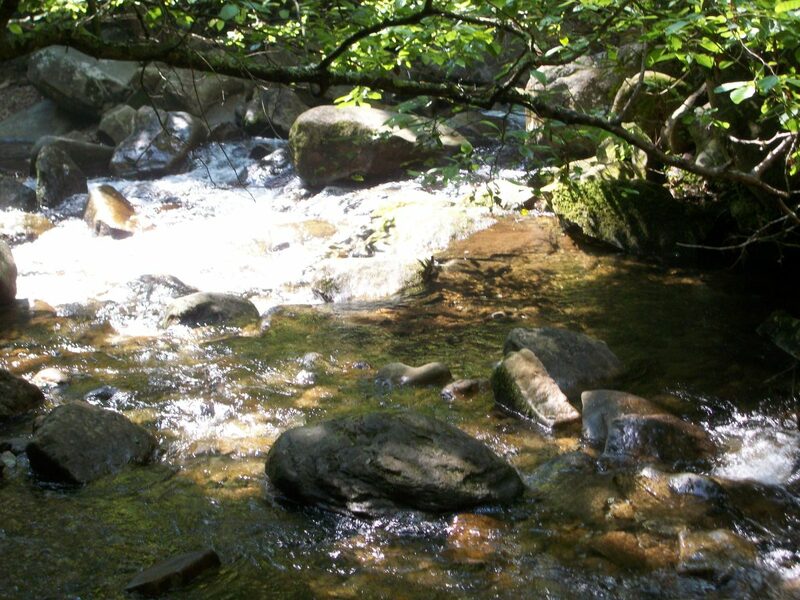 All streams are designated trout waters. Designations include delayed harvest, wild, and catch and release. 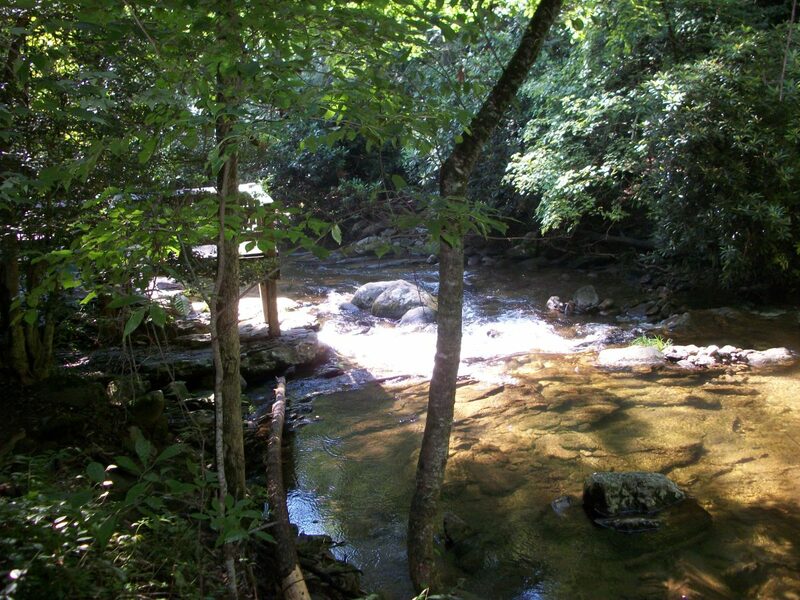 Clear Creek access is home to a 22-acre reservoir containing inland game fish, largemouth bass and bluegill. 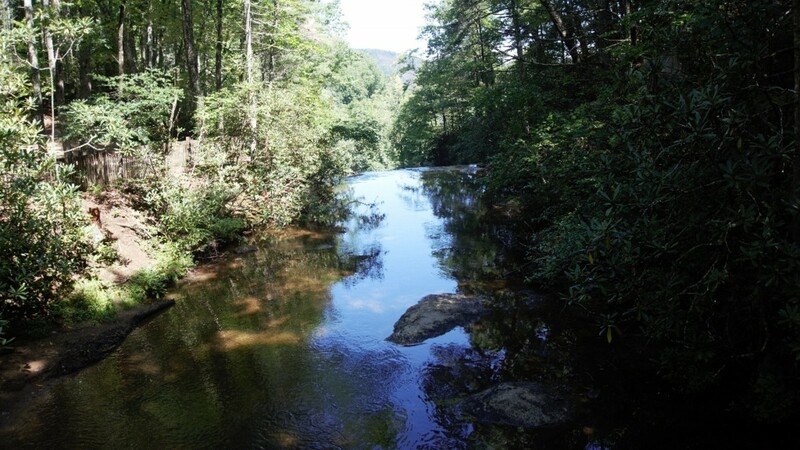 All N.C. Wildlife Resources Commission rules and regulations apply. 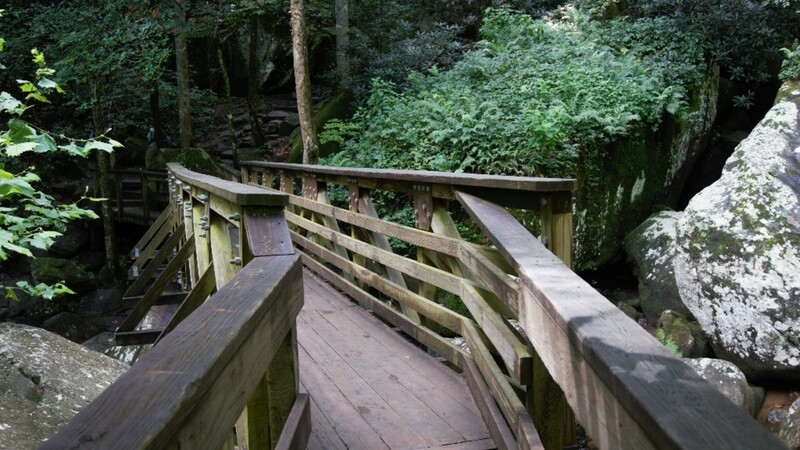 There are 33 miles of equestrian trails at South Mountains State Park. There is the 13-mile Sawtooth Trail Loop or ride on of the longer loops. 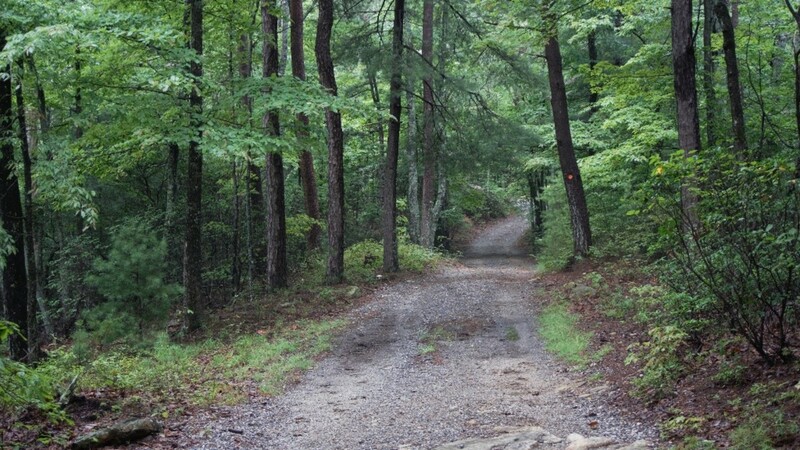 The equestrian trailhead is located at the west end of the equestrian parking area at Turkey Ridge Trail. As with the equestrian camping, all horses must test negative for Coggins. 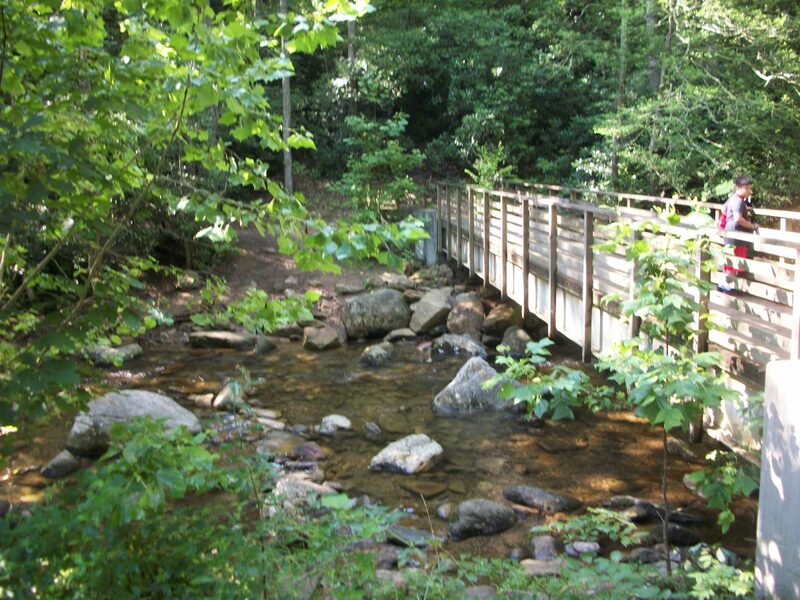 South Mountains State Park is one of the few parks in the state park system that offers mountain bikers the chance to ride through the park. 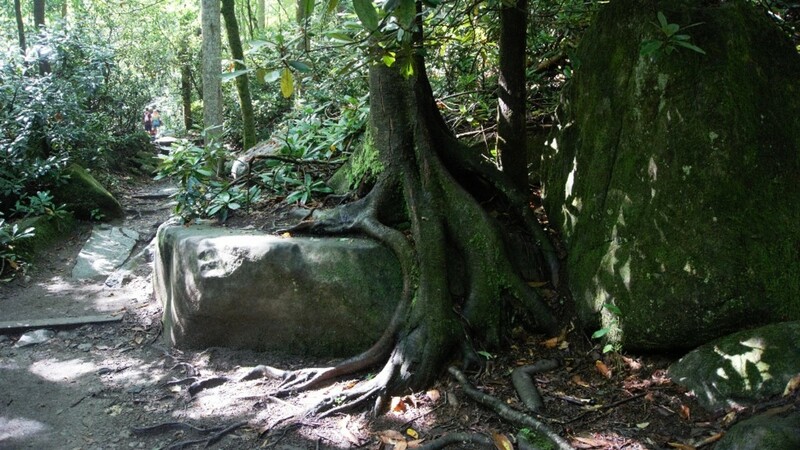 The 18-mile, strenous loop trail follows old logging roads through the backcountry. Riders should be in good shape before attempting it. 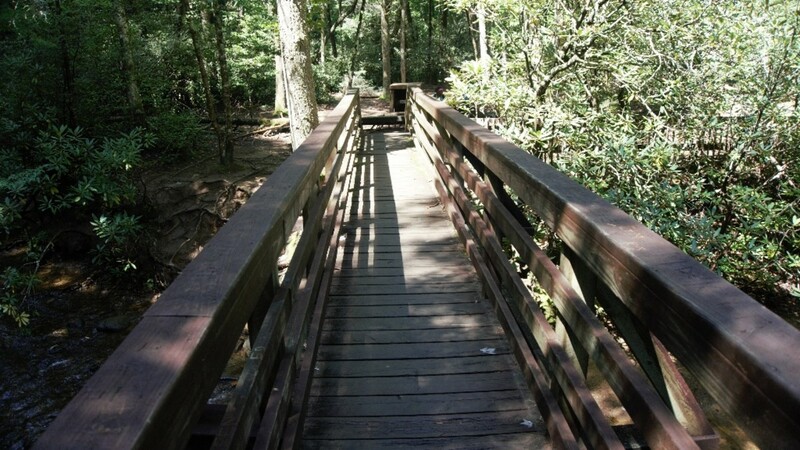 The Jacob Fork picnic area includes picnic tables, grills and a restroom. It is also accessible to people with disabilities. 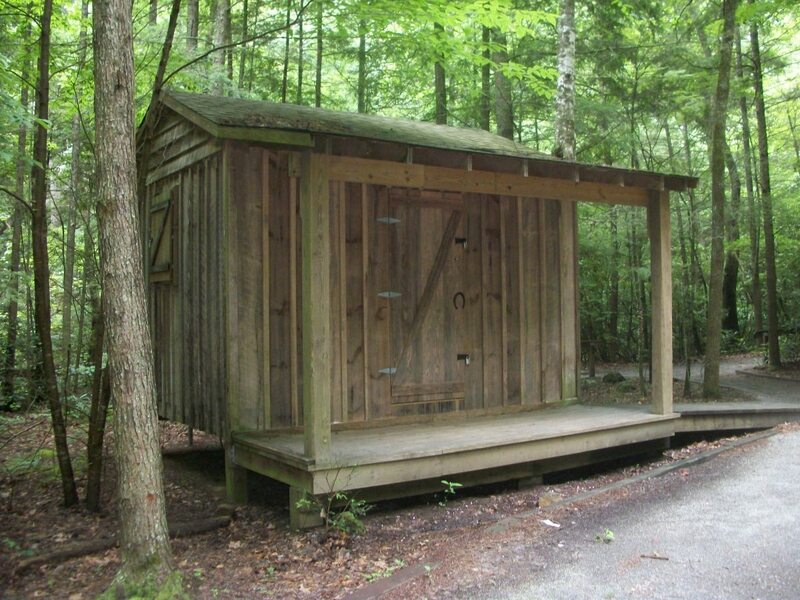 A picnic shelter is available with 12 picnic tables, a fireplace and two charcoal grills. This shelter can be reserved in advance. 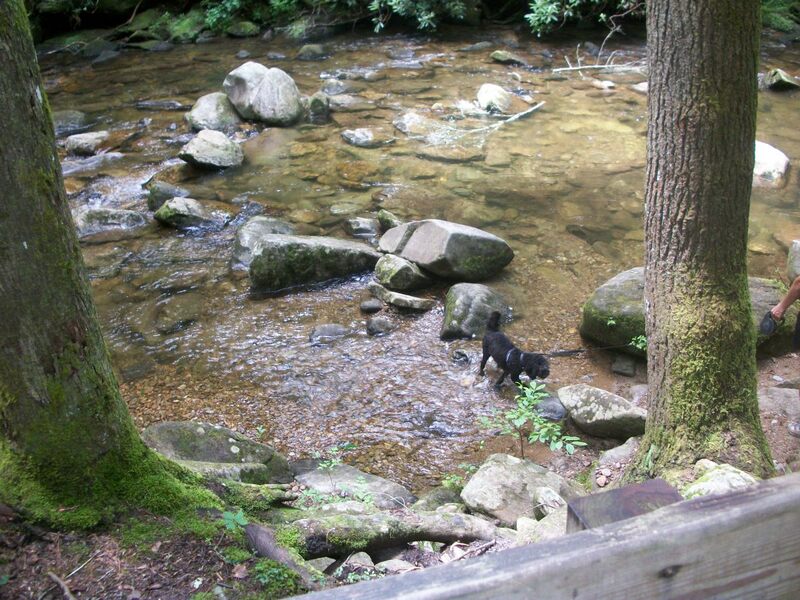 The Shinny Creek picnic area is a short half-mile walk from the Jacob Fork parking lot also has picnic tables and grills. Additional tables and grills are located in the Cicero Branch parking area as well. 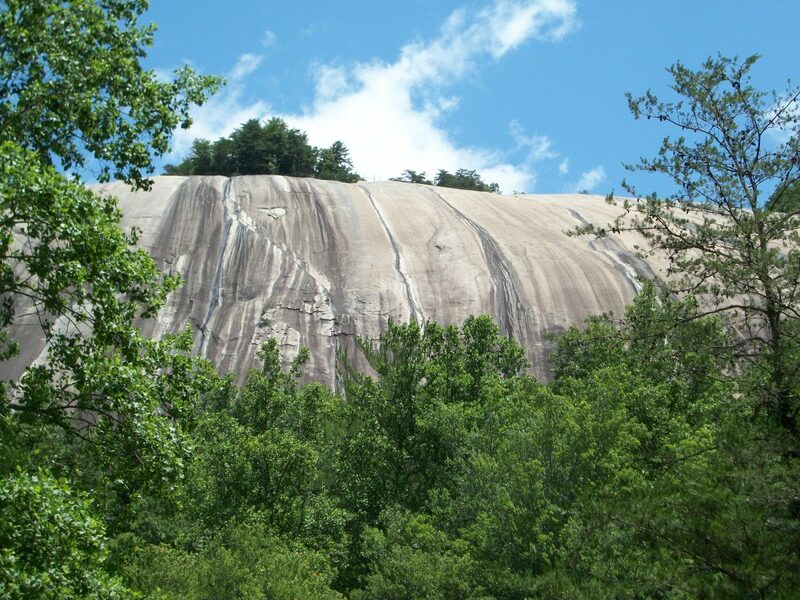 Some of these regulations are posted for your protection and to make your visit a safe and rewarding experience. A complete list is available at the park office. Do not litter. Please help maintain a clean environment for other visitors. Pets must be on a leash no longer than six feet. 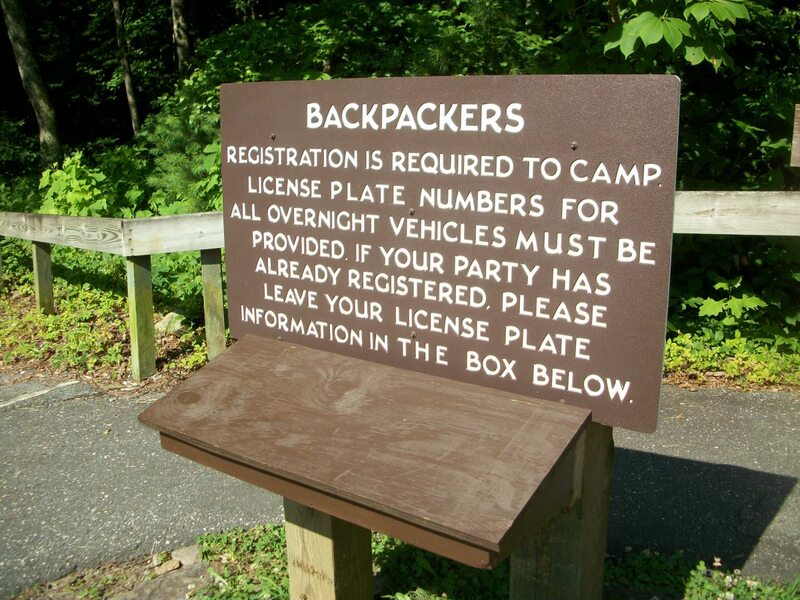 Camping is allowed in designated areas by permit only. 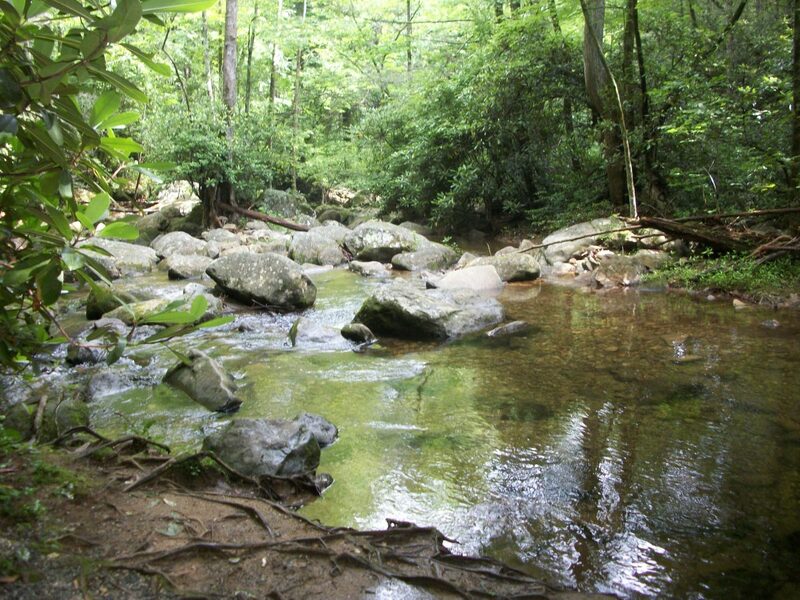 Venomous snakes, poison ivy, and ticks may be encountered along park trails. Use caution. 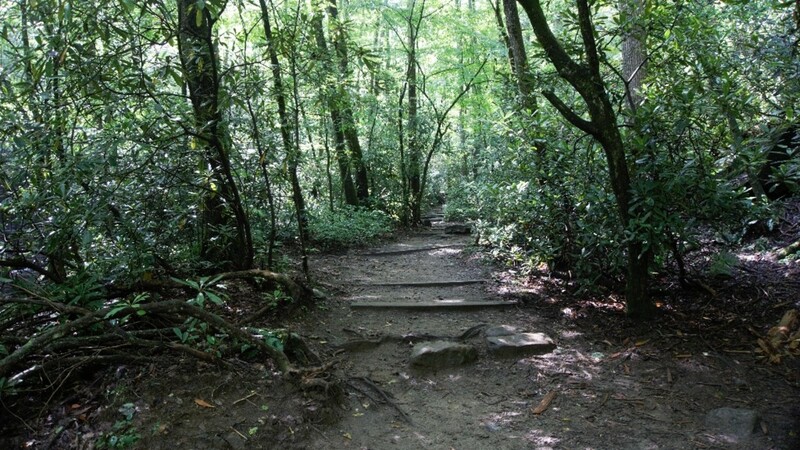 Dress properly – check with park employees regarding the weather and terrain. Remember to bring plenty of water for you and your pets. Be sure to plan your hike so that you avoid being caught by darkness. Try to exit the park and/or return to your campsite before darkness. 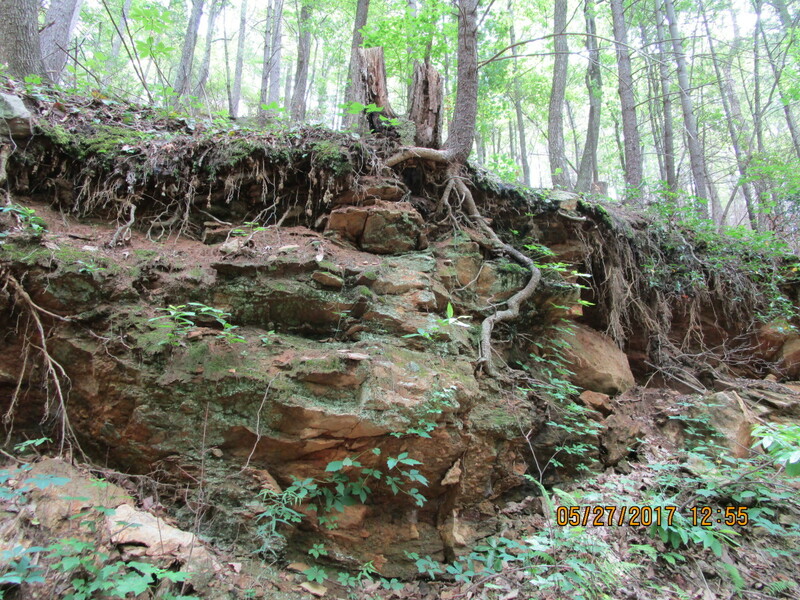 Do not remain on rock outcrops, in open fields, or in the forest under tall trees if you see an electrical storm approaching. Return to your vehicle or the nearest park building immediately. 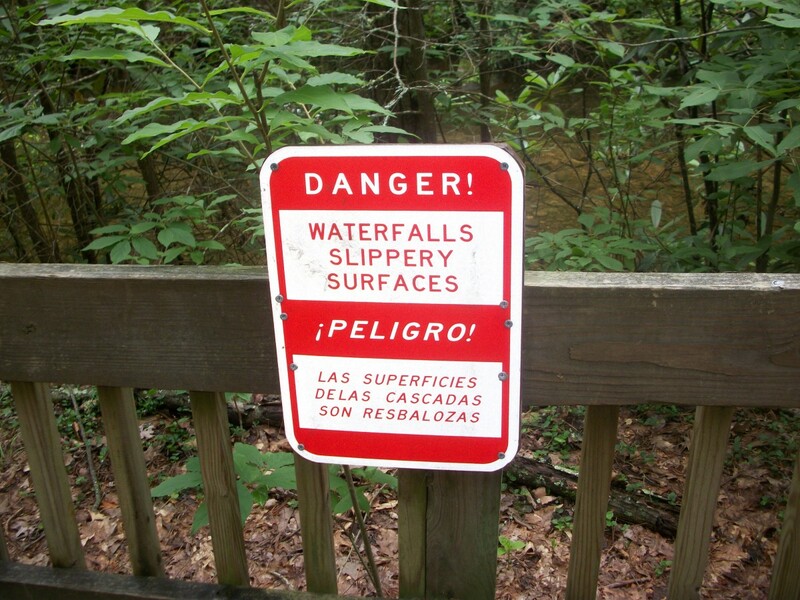 When hiking, stay on designated trails only and do not venture near cliff faces and waterfalls. 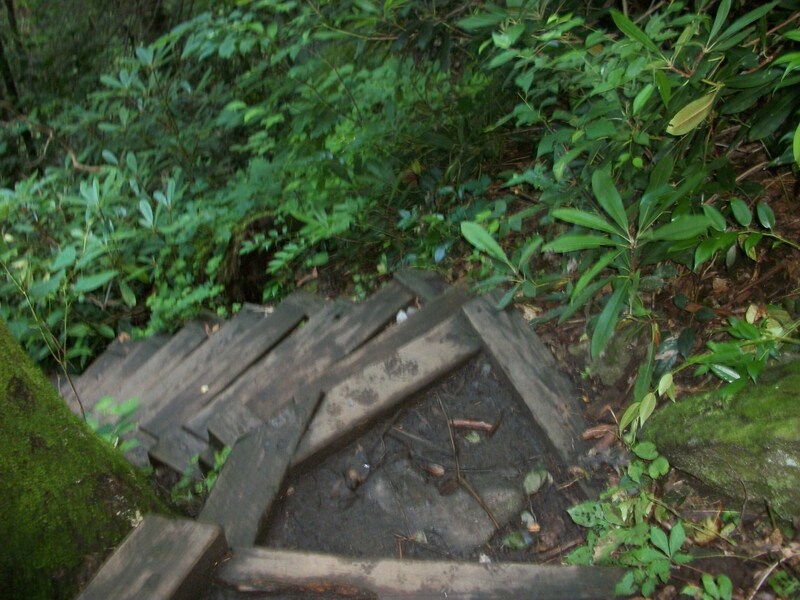 Steep drop-offs, poisonous plants and unstable footing exist beyond the trail. Thanks for everyone's comments. It is really close to home, about 1.5 hours, and gives a good workout and lots of beautiful scenery. 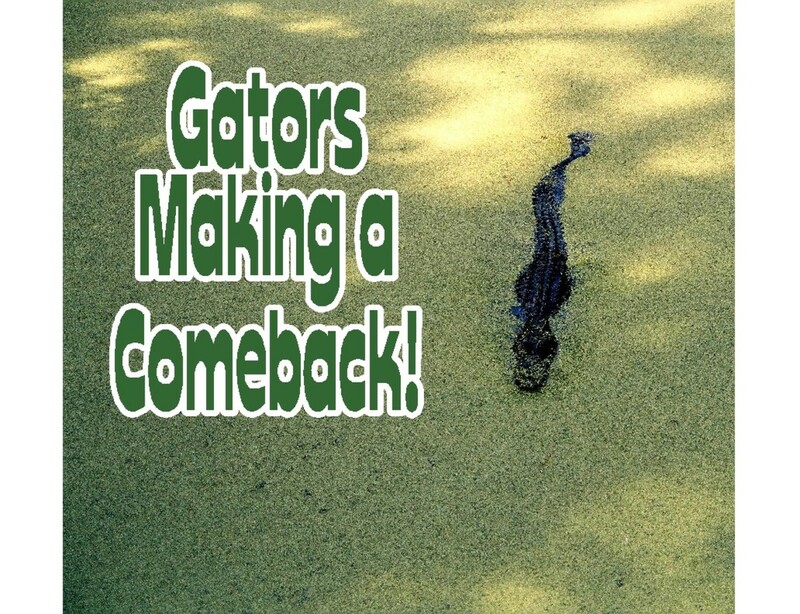 I can't wait to visit there in the fall! This looks beautiful. 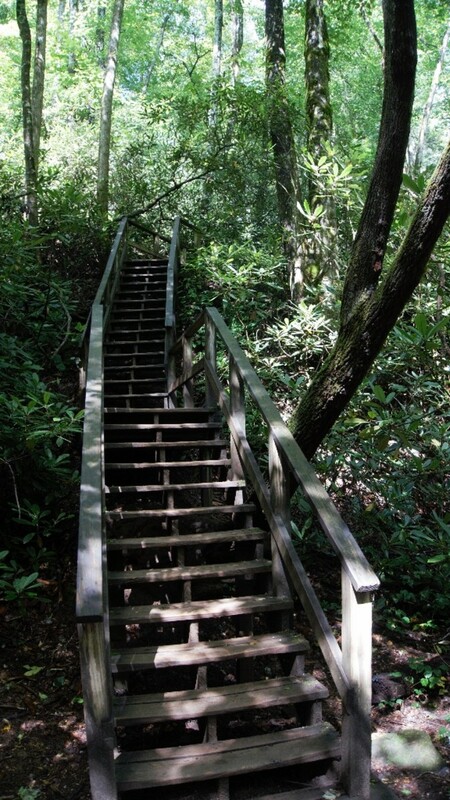 We love to hike and this would be right up our alley. Also looks cool and refreshing on this hot summer day. Wonderful hub, great presentation and pictures. Seems as a fantastic place so many thanks for the tour! 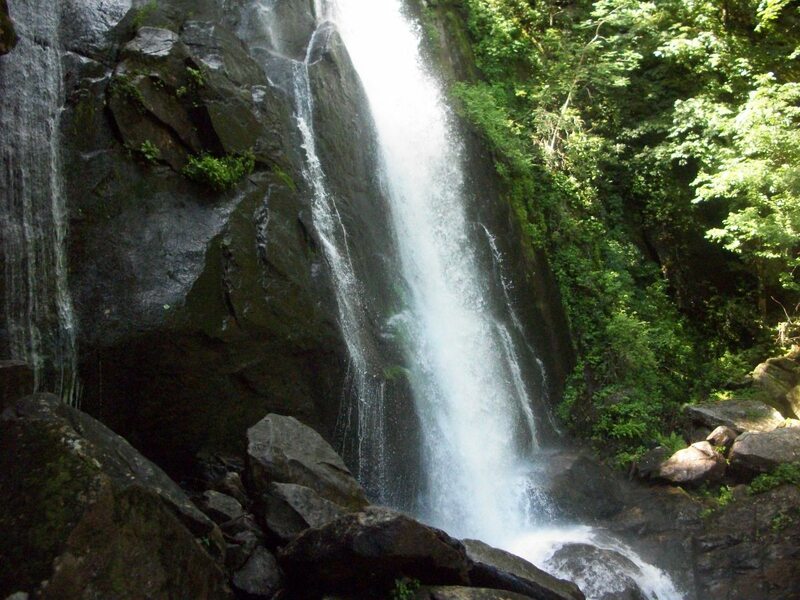 What a beautiful place, and represented well in your fantastic photos. I live quite a ways away, but it seems like its worth the drive. Great Hub! Thanks for the introduction to South Mountains State Park. I appreciate the pictorial views. Voted Up! Stunning. Thank you for the tour. 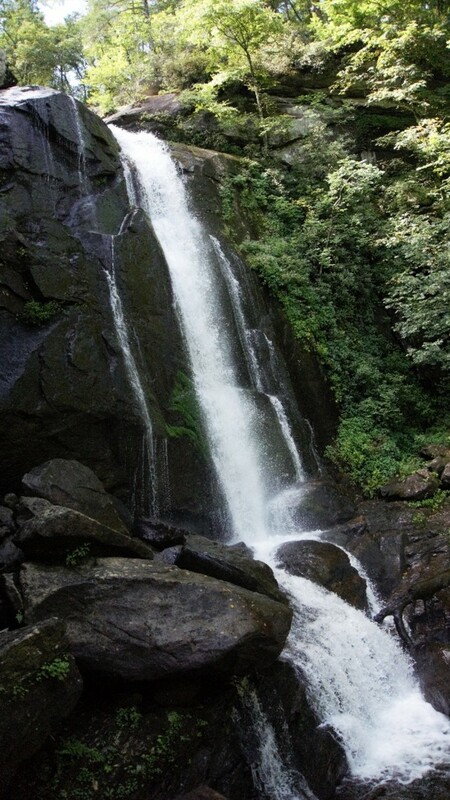 jabelufiroz - thank you for stopping by and commenting. Wonderful travel guide. Voted up.